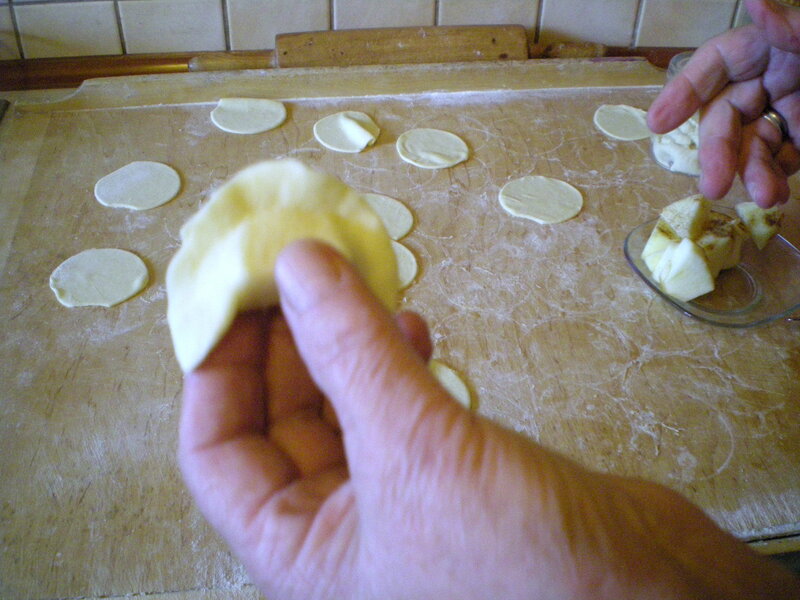 the thing is that you can make many kinds of fillings and use just one dough, cause the dough for all the pierogi is the same! so if you have kids and they don’t like dumplings with meat/cabbage/Russian (with potatoes), you can prepare two fillings and make two different dinners at once! 1. 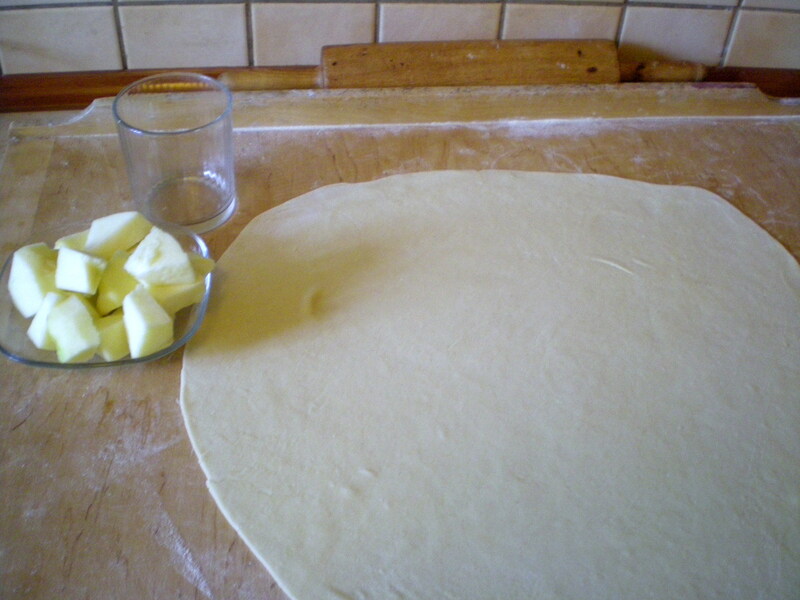 Start with the dough: make the dough using the recipe I posted before (recipe for Polish dumplings, you can find it here). 2. 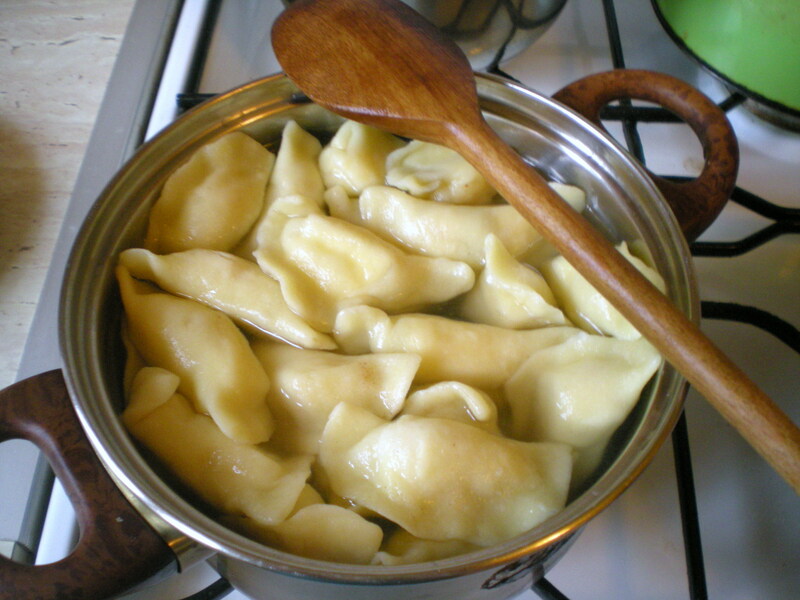 Start making the pierogi. 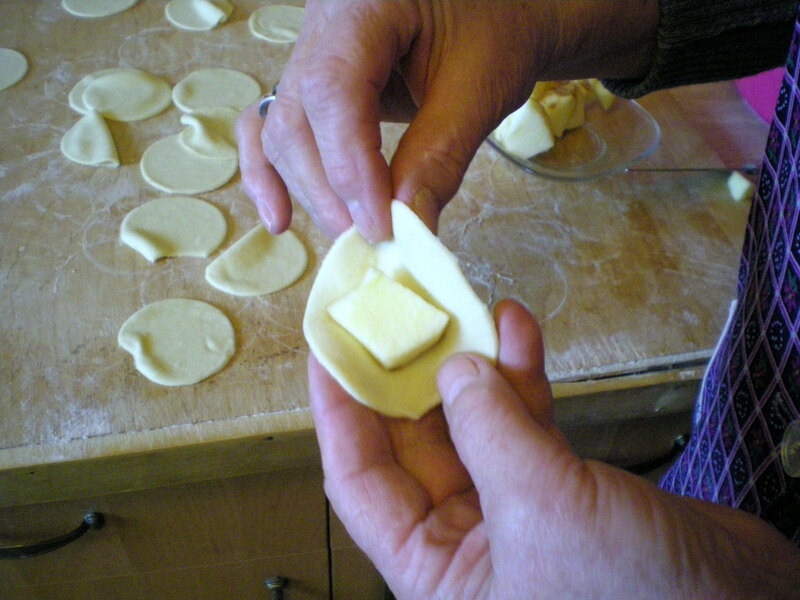 The method is exactly the same as with the ‘Russian pierogi’. But here you use fruits instead of the filling. 4. Now, cooking the dumplings. Exactly the same method as with the Russian ones. 5. What is different this time? The way of serving. We don’t serve them with onion and sausage (obviously!) but with melted butter, sugar and cinnamon (optional). 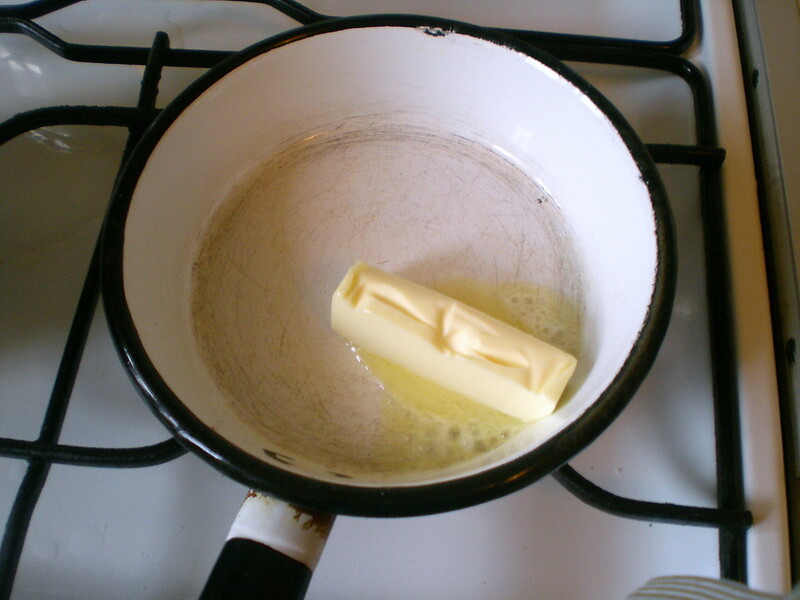 So, melt the butter in the small frying pan or pot. 6. Pour the butter over the dumplings and sprinkle with sugar and cinnamon. Done! 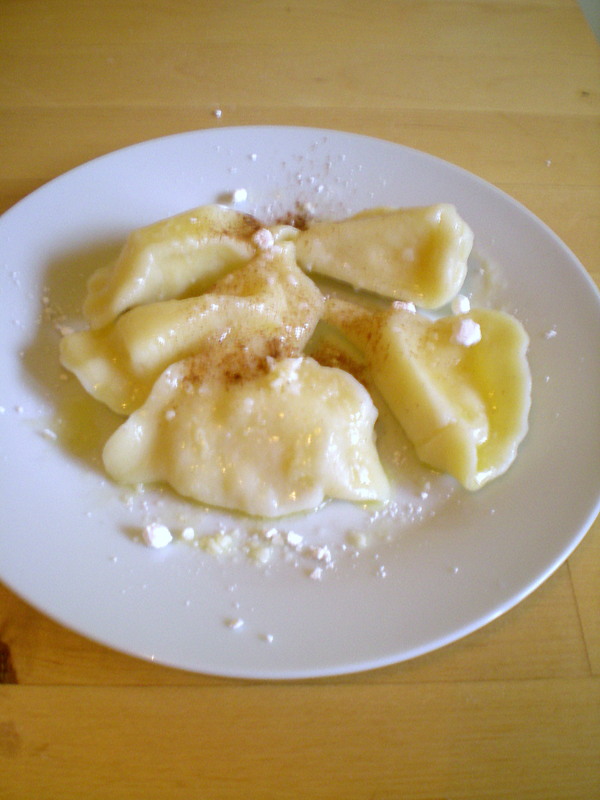 I want to try this pierogi!!!!!!!!!!!!!!!!! how do you make your dough? with a mixer or by hand? the pierogis look delicious, and its interesting how you use a chunk of apple, as compared to smaller, diced pieces tossed in spices. very cool! Sweet dumplings! I’ve had baked versions before but never the boiled. The texture would be really different won’t it? 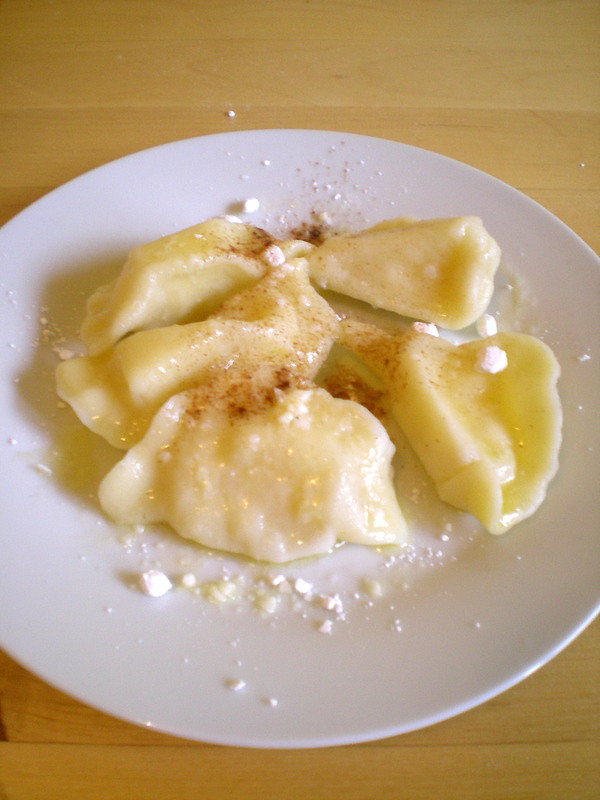 Look yummy … I learned to make pierogi from my grandma but never fruit, i need to tty these! You have great cooking skills. Thank you for stopping by!